Trouble answering job interview questions? Not sure the best way to answer behavioral interview questions or situational interview questions? Join career expert and award-winning author Andrew LaCivita as he discusses how to answer job interview questions! 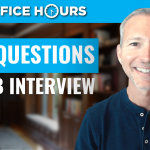 Join me for today’s session to learn my simple approach to help you answer any job interview question and make the interviewer like you, remember you, and ultimately hire you! 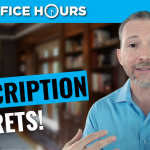 RESUME WEBINAR: 3 SECRETS TO GET YOUR RESUME NOTICED. ATTENDEES GET MY FREE RESUME BUILDER: The Ultimate Guide to Develop a Resume that Gets Job Interviews! – Optimized professional resume template so you can see the sections. – Instructions to fill in each section, including the specific content and topics which grab the employer’s attention. – A “journal” section with 14 critical areas to stimulate your recollection of the most impactful parts of your work history and projects. Plus, you can use it to capture your current and future career efforts! After you watch the webinar, download the resume builder, and fill out your resume, I recommend using JOBSCAN BEFORE YOU PUT IT IN ANY ATS. PLEASE USE THIS LINK FOR A FREE ACCESS! 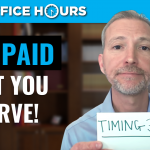 JOB INTERVIEW WEBINAR: 3 KEYS TO ACE ANY JOB INTERVIEW. ATTENDEES GET MY FREE EBOOK ACE ANY JOB INTERVIEW: Master the Best Answers to the 14 Most Effective Job Interview Questions! JOB SEARCH WEBINAR: HOW TO FIND A JOB YOU LOVE: 10 Steps to Find Your Dream Job 10X Faster.